Nick Hern, 2001, Hardback in Dust Wrapper. 2nd (corrected) printing. [First Published: 2001] Illustrated by way of: Black & White Photographs; Signed by the author on the title page — unverified and reflected as such in the lack of premium. From the cover: “The actor Timothy West is held in high regard and great affection. He has played roles as diverse as Edward VII and Thomas Beecham, Falstaff and Uncle Vanya, Stalin and Churchill — and he became a household name in the TV series Brass. 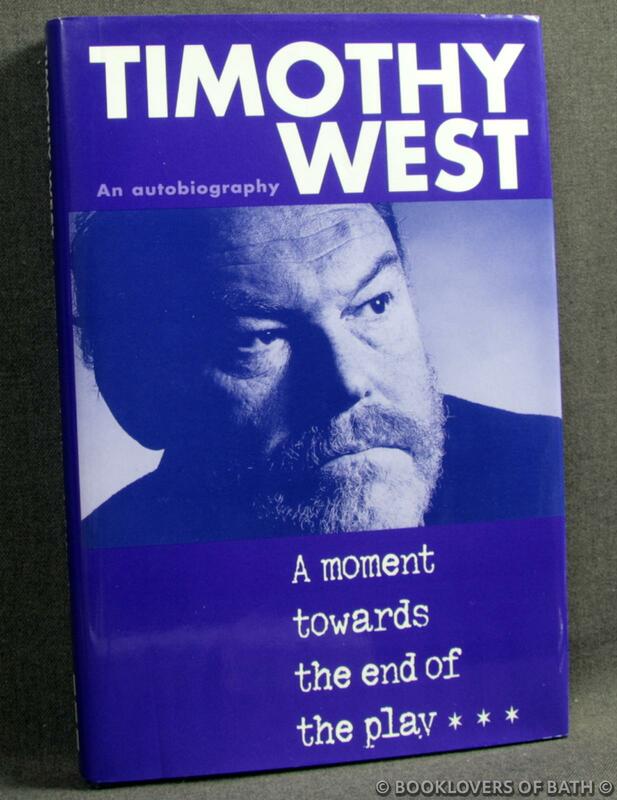 Now in his sixties, he has written his autobiography. In it he emerges as a born writer, a brilliant raconteur and a man deeply concerned about the health of his profession. The account of his early years, replete with delightful stories, reads like a map of a now vanished landscape: box-office at Frinton, assistant stage manager at Newquay, weekly rep at Hull, and a two-year contract at Salisbury -while coping with a manic depressive first wife and their small child. Then begins the steady climb towards the West End and film and television. He was in Abelard and Heloise with (a naked) Diana Rigg. He was in Exiles directed by Harold Pinter (1970). He joined the BBC Drama Repertory Company and the Royal Shakespeare Company. He joined Charles Marowitz at his experimental Open Space. 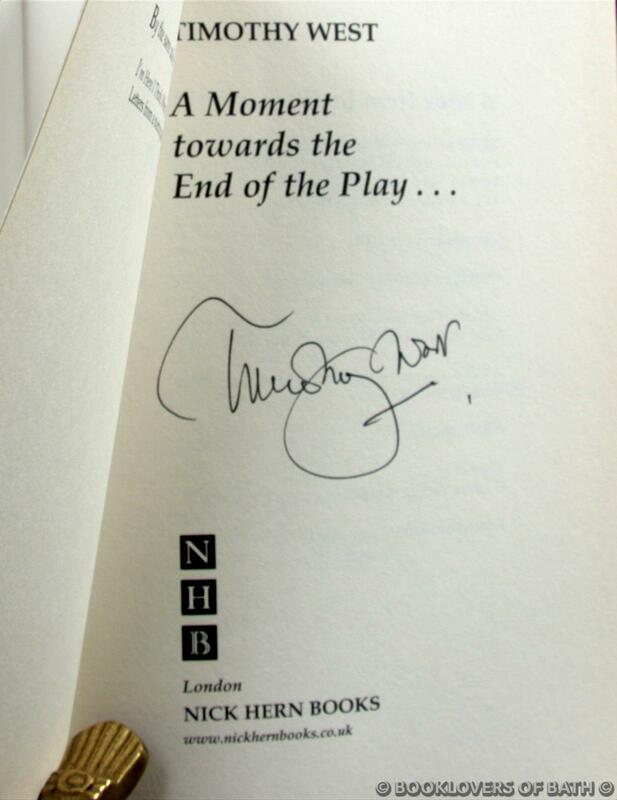 And he joined Prospect Theatre Company and stayed with them from 1966-1981, touring incessantly, playing many of the plum Shakespearean roles and ending up running their seasons at the London Old Vie, whose low point was his failure to prevent Peter O’Toole notoriously self-destructing as Macbeth. Meanwhile Tim had met and married Prunella Scales and had two more children, Joe and Sam (now the actor, Samuel West). Since then he has led the life of a busy freelance actor and director mixing stage and screen, radio and talking books, going wherever there is congenial work, occasionally with Prunella and recently with Sam (they played Falstaff and Prince Hal together in 1998). Jacket designed by Ned Hoste. Size: 9½" x 6¼". Purple boards with Silver titling to the Spine. 286 pages.